Home Tags Posts tagged with "turkey twitter ban"
Turkey has lifted the controversial ban on Twitter following Wednesday’s constitutional court ruling, officials and media reports say. Turkey’s constitutional court had told the country’s telecommunication authorities the two-week-old ban must be lifted as it was a breach of freedom of expression. PM Recep Tayyip Erdogan had vowed to “wipe out Twitter” after users spread allegations of corruption. Users across the country found many ways of circumventing the prohibition, which was widely criticized and ridiculed. Access to Twitter was blocked in Turkey in the run-up to local elections, which Recep Tayyip Erdogan’s ruling Islamist-rooted AK Party won resoundingly. The YouTube recording has not been verified as authentic, and Recep Tayyip Erdogan alleges that such recordings are being fabricated to turn people against him. 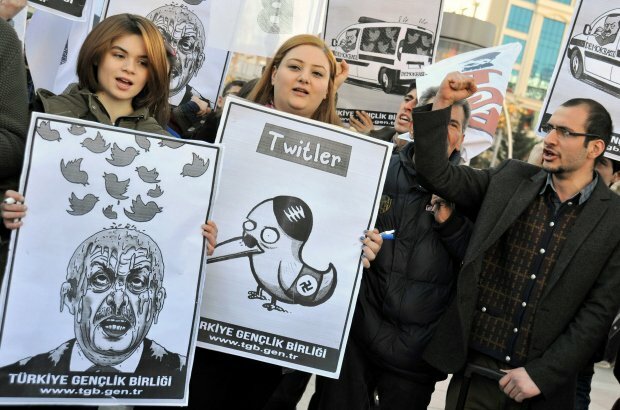 Turkey’s Twitter ban violates freedom of expression and individual rights, the country’s constitutional court has ruled. The court also said that last month’s ban must be lifted, sending a statement to Turkey’s media regulator and the government. It remains unclear whether the verdict will lead to a lifting of the block. Twitter itself has filed a challenge to the access ban. On Wednesday, the constitutional court in Ankara sent its ruling to Turkey’s telecommunication authority (TIB) and the transport and communications ministry. The court asked them to “do what’s necessary” to lift the ban, Turkey’s NTV television reported. The authorities have so far made no public comment on the verdict. A ban was imposed on March 21 on the grounds that Twitter had failed to remove the allegations of corruption involving senior officials. A number of complaints were filed to courts, arguing the ban was illegal and unconstitutional. 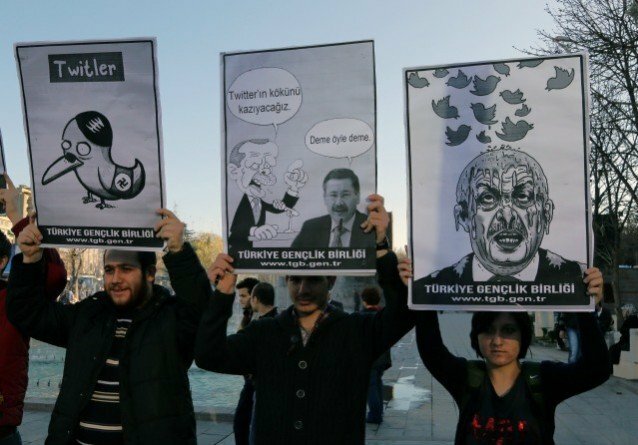 The administrative court in Ankara later issued a temporary injunction ordering the TIB to restore access to Twitter until it could deliver its full verdict on the ban. Meanwhile, users across Turkey have found many ways of circumventing the prohibition, which has been widely criticized and ridiculed. An Ankara court has ordered the suspension of the controversial Twitter ban, but it could be weeks before it takes effect. Turkey’s telecommunication authority (TIB) has 30 days to decide whether to lift the ban. 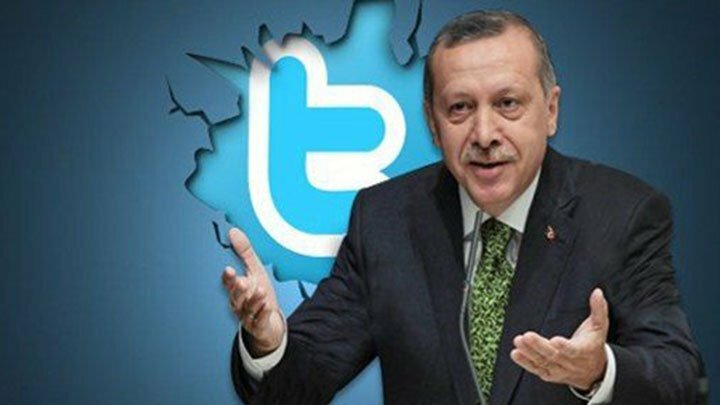 PM Recep Tayyip Erdogan vowed to “wipe out Twitter” after users spread allegations of corruption. It said it had acted on two out of three Turkish legal orders but had concern about the third order as it was a request us to suspend an account accusing a former minister of corruption. “This order causes us concern,” its general counsel, Vijaya Gadde, said in a statement. Twitter ban was imposed on Friday on the grounds that the social media site had failed to remove the allegations of corruption involving senior officials. The administrative court in Ankara issued a temporary injunction on Wednesday ordering the TIB to restore access to Twitter until it could deliver its full verdict on the ban. Turkish media reports suggested the ban would be suspended soon afterwards but a source in Recep Tayyip Erdogan’s office told Reuters news agency the TIB had 30 days to implement or appeal against the court ruling. Thirty days is a standard period in such cases. “The millions of people in Turkey who turn to Twitter to make their voices heard are being kept from doing just that,” Vijaya Gadde said. “There are no legal grounds for the blocking of our service in Turkey,” she added. Users have found many ways of circumventing the prohibition, which has been widely criticized and ridiculed. 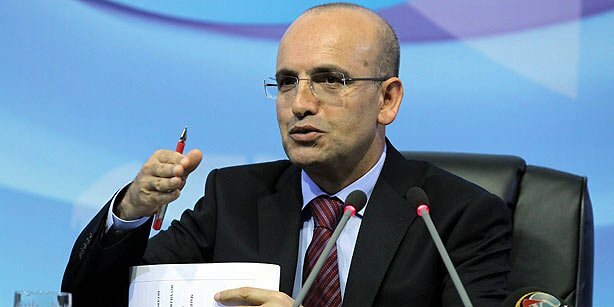 Turkish Finance Minister Mehmet Simsek defends his government’s decision to ban Twitter, accusing the website of failing to comply with court orders. Turkish government banned Twitter on Friday, after users shared information about allegations of corruption against high-level officials. Analysts say Twitter users have found many ways of circumventing the ban, which was widely criticized. Twitter has so far made no public comment on the ban, but the company on Friday posted a message in both English and Turkish telling users how to send tweets via text messages. There are estimated to be about 10 million Twitter users in Turkey. 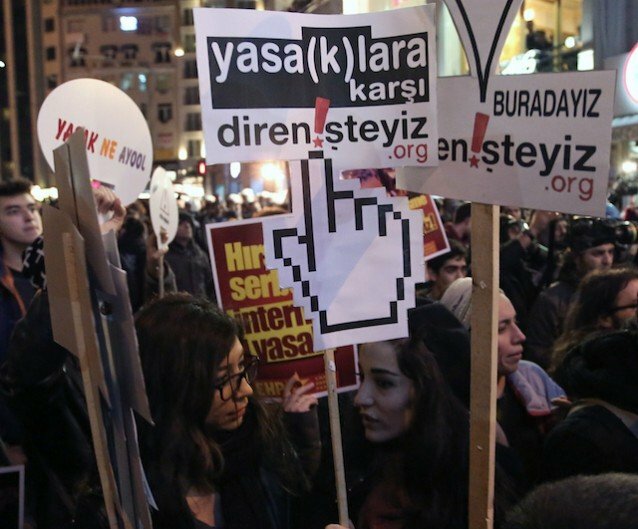 Mehmet Simsek, who accepted that banning social-media sites “doesn’t reflect well” on his government, insisted that the ban was not a crackdown on free speech. “The Turkish telecommunications watchdog has made a number of statements saying that they have asked Twitter on a number of occasions to remove some content on the back of court orders and Twitter has been refusing to comply,” he said. The minister said it now looked as if Twitter was working with the Turkish authorities to get the ban lifted. A senior Turkish government official told Reuters that talks with Twitter on ending the ban “were going positively”. PM Recep Tayyip Erdogan was said to have been angry that people have used Twitter to spread allegations of corruption about members of his inner circle. Turkey’s President Abdullah Gul has challenged PM Recep Tayyip Erdogan’s ban on Twitter. Recep Tayyip Erdogan is angry that people used Twitter to spread allegations of corruption in his inner circle. “I don’t care what the international community says at all. Everyone will see the power of the Turkish Republic,” the prime minister said in a speech on Thursday. President Abdullah Gul took to the site on Friday to say that websites should only be blocked if courts found they had violated personal privacy. He said it was not “technically possible to totally block access to platforms used all over the world” and added that he hoped the decision would “not last long”. The EU said it was worried about the move, with Stefan Fuele, the EU commissioner for enlargement, saying he was “gravely concerned” by PM Recep Tayyip Erdogan’s policy on free speech. European Commission Vice President Neelie Kroes described the blocking of the site as “groundless, pointless, cowardly”. Turkey’s lawyers’ association asked a court to overturn the ban, arguing it was unconstitutional and violated Turkish and European human rights laws. Turkey’s main opposition party also said it would try to have the decision reversed. Recep Tayyip Erdogan took action against Twitter after some users had posted documents reportedly showing evidence of corruption relating to his office – a claim he denies. His spokesman said the prime minister had been forced to act after the social media company had failed to respond to a court ruling in Turkey to remove some links. Some users trying to open twitter.com were redirected to a statement by Turkey’s telecommunications regulator citing a court order to apply “protection measures” on the website.